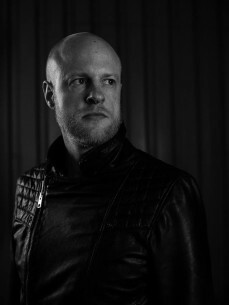 Reggy Van Oers (RVO) has shown himself to be a DJ of class and a highly respected producer over the years. With a clear philosophy on the creation and manipulation of sound we can find his productions played by a large variety of artists across the globe. It is no surprise he is often asked to release on a wide range of labels which also paved the way to collaborate with well respected artists. His music has seen releases on labels like The Gods Planet, Informa, Affin and Green. It is safe to say his deep, minimalistic and atmospheric techno has definitely not gone unnoticed. With his platform Telemorph, a tight bond between all artists involved, he creates a special place for solo releases and fruitful collaborations in order to expand their distinct musical journey.